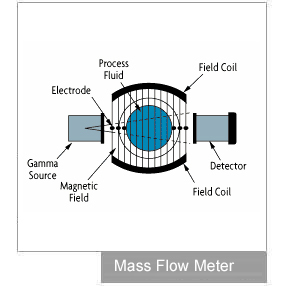 A flow meter is an instrument used to measure linear, nonlinear, mass or volumetric flow rate of a liquid or a gas. When choosing flowmeters, one should consider such intangible factors as familiarity of plant personnel, their experience with calibration and maintenance, spare parts availability, and mean time between failure history, etc., at the particular plant site. It is also recommended that the cost of the installation be computed only after taking these steps. OMEGA Engineering offers a wide range of flow meters in Australia. The first step in flow sensor selection is to determine if the flowrate information should be continuous or totalized, and whether this information is needed locally or remotely. If remotely, should the transmission be analog, digital, or shared? And, if shared, what is the required (minimum) data-update frequency? Once these questions are answered, an evaluation of the properties and flow characteristics of the process fluid, and of the piping that will accommodate the flowmeter, should take place. In order to approach this task in a systematic manner, forms have been developed, requiring that the following types of data be filled in for each application: Download the Flowmeter Evaluation Form. Expected minimum and maximum pressure and temperature values should be given in addition to the normal operating values when selecting flowmeters. Whether flow can reverse, whether it does not always fill the pipe, whether slug flow can develop (air-solids-liquid), whether aeration or pulsation is likely, whether sudden temperature changes can occur, or whether special precautions are needed during cleaning and maintenance, these facts, too, should be stated. Concerning the piping and the area where the flowmeters are to be located, consider: For the piping, its direction (avoid downward flow in liquid applications), size, material, schedule, flange-pressure rating, accessibility, up or downstream turns, valves, regulators, and available straight-pipe run lengths. The specifying engineer must know if vibration or magnetic fields are present or possible in the area, if electric or pneumatic power is available, if the area is classified for explosion hazards, or if there are other special requirements such as compliance with sanitary or clean-in-place (CIP) regulations. 8. Is the fluid chemically compatible with the flowmeter wetted parts? The next step is to determine the required meter range by identifying minimum and maximum flows (mass or volumetric) that will be measured. After that, the required flow measurement accuracy is determined. Typically accuracy is specified in percentage of actual reading (AR), in percentage of calibrated span (CS), or in percentage of full scale (FS) units. The accuracy requirements should be separately stated at minimum, normal, and maximum flowrates. Unless you know these requirements, your flowmeter's performance may not be acceptable over its full range. When a flowmeter's accuracy is stated in % CS or % FS units, its absolute error will rise as the measured flow rate drops. If meter error is stated in % AR, the error in absolute terms stays the same at high or low flows. Because full scale (FS) is always a larger quantity than the calibrated span (CS), a sensor with a % FS performance will always have a larger error than one with the same % CS specification. Therefore, in order to compare all bids fairly, it is advisable to convert all quoted error statements into the same % AR units. In well-prepared flow meter specifications, all accuracy statements are converted into uniform % AR units and these % AR requirements are specified separately for minimum, normal, and maximum flows. All flowmeters specifications and bids should clearly state both the accuracy and the repeatability of the meter at minimum, normal, and maximum flows. Furthermore, if one can obtain the same performance from both a full flowmeter and a point sensor, it is generally advisable to use the flowmeter. Because point sensors do not look at the full flow, they read accurately only if they are inserted to a depth where the flow velocity is the average of the velocity profile across the pipe. Even if this point is carefully determined at the time of calibration, it is not likely to remain unaltered, since velocity profiles change with flowrate, viscosity, temperature, and other factors. In view of these considerations, mass flowmeters, which are insensitive to density, pressure and viscosity variations and are not affected by changes in the Reynolds number, should be kept in mind. Also underutilized in the chemical industry are the various flumes that can measure flow in partially full pipes and can pass large floating or settleable solids. Piston-type flowmeters use an annular orifice formed by a piston and a tapered cone. The piston is held in place at the base of the cone (in the "no flow position") by a calibrated spring. Scales are based on specific gravities of 0.84 for oil meters, and 1.0 for water meters. Their simplicity of design and the ease with which they can be equipped to transmit electrical signals has made them an economical alternative to rotameters for flowrate indication and control. Thermal-type mass flow meters operate with minor dependence on density, pressure, and fluid viscosity. This style of flowmeter utilizes either a differential pressure transducer and temperature sensor or a heated sensing element and thermodynamic heat conduction principles to determine the true mass flow rate. Many of these mass flowmeters have integral displays and analog outputs for data logging. Popular applications include leak testing and low flow measurements in the milliliters per minute. One of the most popular cost effective flowmeters for water or water like fluids. Many are offered with flow flittings or insertions styles. These meters like the turbine meter require a minimum of 10 pipe diameters of straight pipe on the inlet and 5 on the outlet. Chemical compatibility should be verified when not using water. Sine wave and Squarewave pulse outputs are typical but transmitters are available for integral or panel mounting. 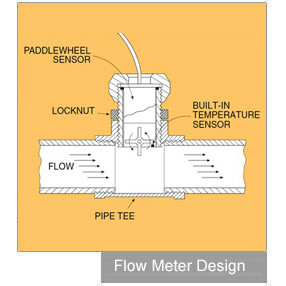 The rotor of the paddlewheel sensor is perpendicular to the flow and contact only a limited cross section of the flow. Available in in-line or insertion style. The magnetic flowmeters do not have any moving parts and are ideal for wastewater application or any dirty liquid which is conductive. Displays are integral or an analog output can be used for remote monitoring or data logging. So you want to measure flow? The answer would seem to be to purchase a flowmeter. With fluid flow defined as the amount of fluid that travels past a given location, this would seem to be straightforward — any flowmeter would suffice. However, consider the following equation describing the flow of a fluid in a pipe. Consider filling a tank. Volumetric flow may be of interest to avoid overflowing a tank where liquids of differing densities can be added. (Then again, a level transmitter and high level switch/shutoff may obviate the need for a flowmeter.) Consider controlling fluid flow into a process that can only accept a limited volume per unit time. Volumetric flow measurement would seem applicable. How much maintenance does a flowmeter require? A number of factors influence maintenance requirements and the life expectancy of flowmeters. The major factor, of course, is matching the right instrument to the particular application. Poorly selected devices invariably will cause problems at an early date. Flowmeters with no moving parts usually will require less attention than units with moving parts. But all flowmeters eventually require some kind of maintenance.